Having a beautiful head of hair is something so many girls long to have. Long, thick, natural, luscious locks are what dreams are made of but sadly for many of us, we are not blessed with having perfect natural hair. Luckily for those of us who have thin, lifeless, or damaged hair, we can fake it until we make it with hair extensions, hair pieces, and wigs. Hair extensions are not just for those wanting to add length, or who's hair isn't in the best condition, they are great for anyone who just wants to switch things up a bit or add a little extra volume or oomph. I have been wearing hair extensions on and off since I was 16. I have tried all of the different types, from glue in extensions, clip ins and sewn in weaves. There are pros and cons of each, and finding your preference in extension type takes experimenting and trying everything out for yourself. Personally, I prefer clip in extensions. I haven't always done but for the past few years I have preferred them, mostly because they are easy to wear, there is not lasting damage, you will not get headaches and if you aren't wearing them daily, they generally last longer too. One of the best set of hair extensions I have tried to date, (which is a bold statement considering I have 8 years of extension wearing experience under my belt!) comes from www.irresistibleme.com. I went for the 18inch full head silky touch extensions. I wanted to go for a natural but full look as I wanted to add thickness and a little extra length to my thin hair. I have found in the past a lot of extensions do look very fake and what I liked about these ones is that they have tapered ends so they thin out as natural hair would so they look as natural as possible. What I also like about Irresistible Me is that you have the option to select the weight you need. You need to take into consideration how thick your natural hair is as to what weight you select in order for them to match well. I was advised by the lovely team who are always on hand to help to go for 200 grams. I would definitely recommend Irresistible Me for hair extensions. I am over the moon with the premium quality of the hair and I know that they will last well. There's plenty of advice on the website, including a video guide for choosing the perfect colour to match your own hair (very important!) 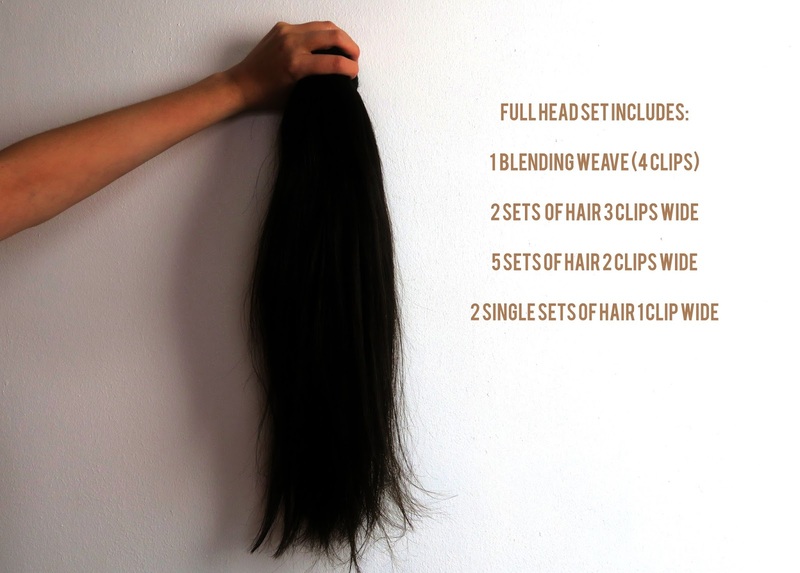 and tips on how to style your extensions, so even if you have never worn hair extensions before there's lots of help for beginners as well as hair extension veterans like myself. For reference my extensions are 100% human remy clip ins, shade chocolate brown, 18" 200grams.